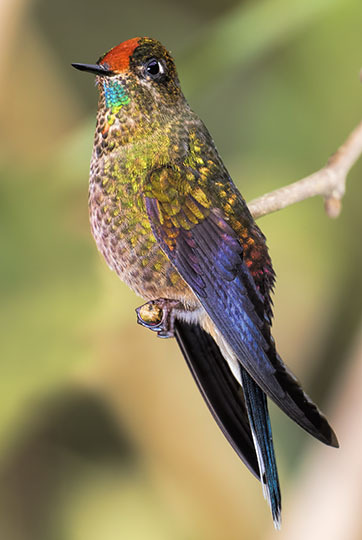 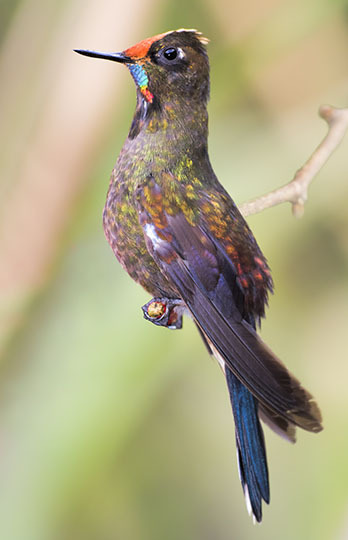 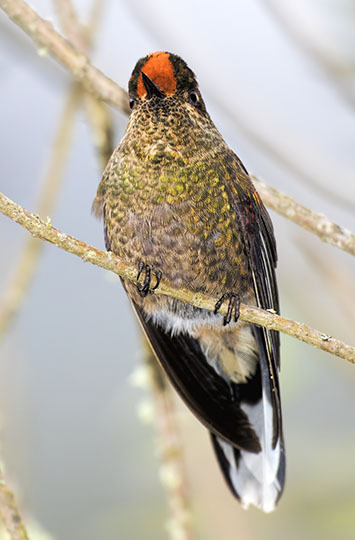 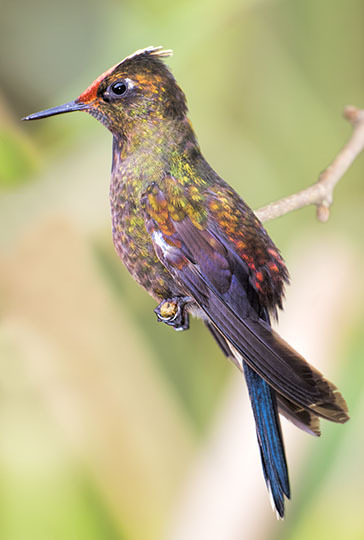 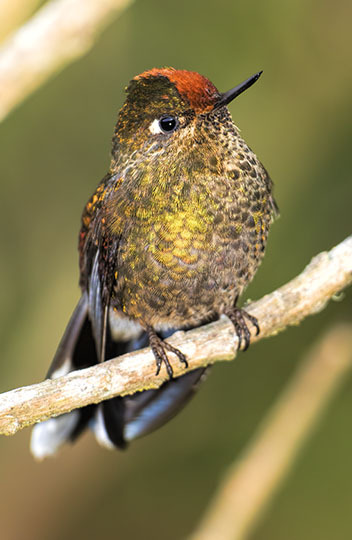 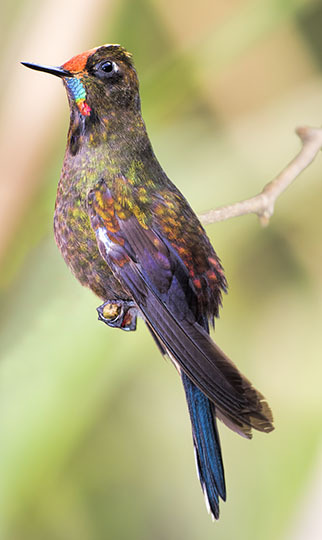 The rainbow-bearded thornbill is a spectacular little hummingbird from high altitudes in the Central Andes of Colombia. 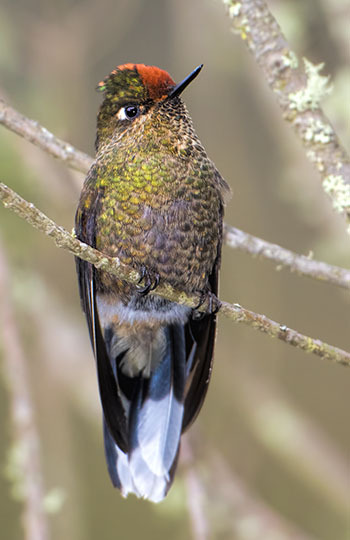 Males have the 'beard' and a short crest; females have a neat rust-red cap. 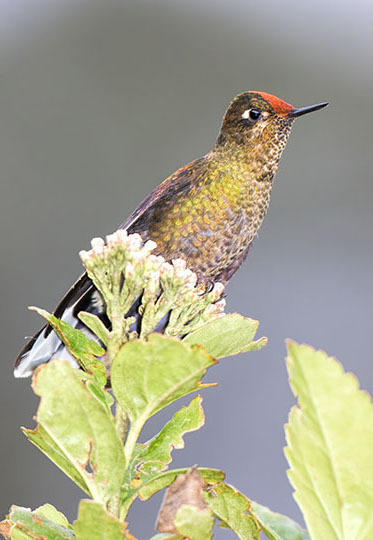 The photos were taken near feeders at a hot-spring resort below Los Nevados National Park near the city of Manizales.